Keeping your guitar properly humidified is an essential step to guard against environmental damage and to keep your guitar playing its best. 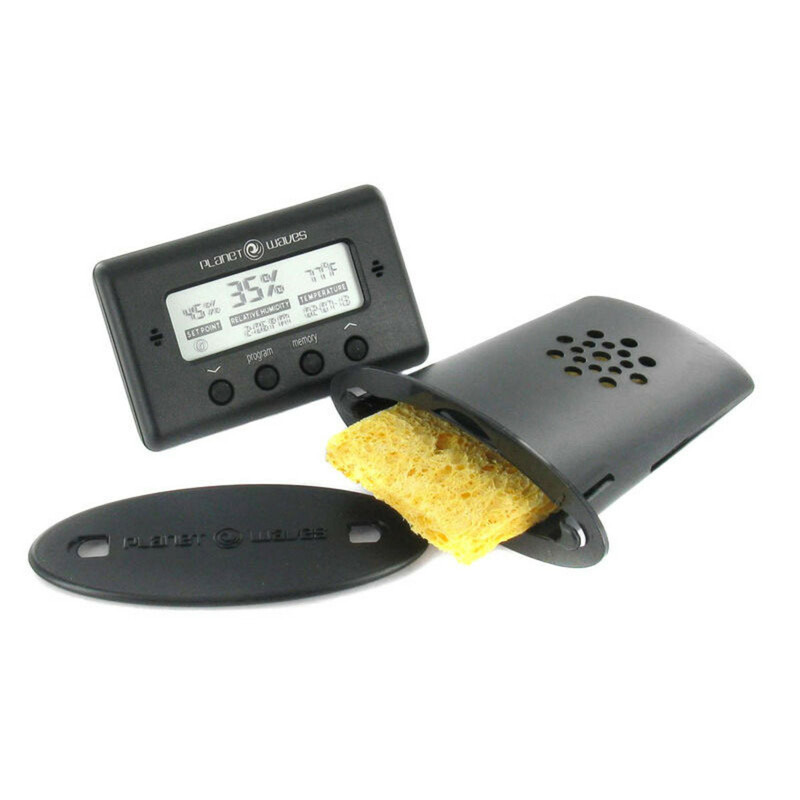 Planet Waves Humidifier & Temperature/Humidity Sensor make instrument humidification simple and worry free. Suspended by the strings inside the guitar body, the humidifier releases moisture slowly and evenly inside your guitar, yet never touches the guitars body and is easy to maintain. The Humidity & Temperature Sensor is a precision-designed hygrometer that digitally indicates accurate relative humidity levels ranging from low (under 20 ) to 99 . Temperature is displayed in either Fahrenheit or Centigrade, ranging from -32°F to 122°F (-35C to 50C). The HTS includes a programmable set point, as well as a memory feature that indicates date/time of the highest & lowest temperature/humidity levels the instrument has been exposed to. Get one for each of your instruments. It?s a wise investment to properly install and use a Planet Waves HTS and a humidifier in each of your instrument cases.